Shuai is a Statistician and also a System Engineer. He enjoys working with healthcare professionals for formulating complex healthcare problems analytically and pursuing data-driven solutions for effective management of these problems. 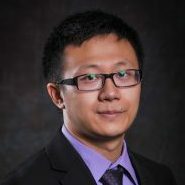 With theoretical training in his undergraduate study for Mathematics & Statistics from the School of Gifted Young at the University of Science and Technology of China and Ph.D. training in the Industrial Engineering program at the Arizona State University, his academic training prepares him well for developing holistic methodologies for real-world problems by seamless combination of theory, computation, and practice. He develops methodologies for modeling, monitoring, diagnosis, and prognosis of complex networked systems where the stochasticity of the system entities are interdependent, such as the brain connectivity networks, social networks, manufacturing processes, and disease progression process of Type 1 diabetes and other progressive diseases that have multiple stages and pathways. He also develops novel statistical and data mining models to integrate the massive heterogeneous datasets such as neuroimaging, genomics, proteomics, laboratory tests, demographics, and clinical variables, for facilitating scientific discoveries in biomedical research and better decision-making in clinical practices. More information can be found in https://sites.google.com/site/shuaihuang28/. His research has been founded by the National Science Foundation, Juvenile Diabetes Research Foundation, and several biomedical research institutes.